Please enjoy ‘A chat and a channel. 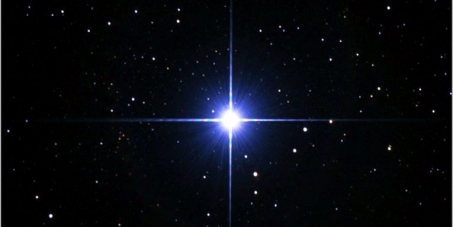 3’ … with White Cloud and The Federation Of Light Direct Voice channelling. They speak of the Pillars of Light and the New Wave Energy that is coming. Enjoy. Please feel free to share the link with friends, face book, and wherever you see fit. Many thanks to all for sharing the journey. An audio version of Blossom’s channelings can be found here. You must be careful as to what you conclude after seeing craft in the skies, as the dark Ones now have many of their own that carry little in the way of identification. It means that incidents could be attributed to us and are in error. You will of course know that over the many years that we have been in your skies, noting had taken place that could be described as threatening or harmful to you. We have never given you cause to fear us and are careful to not take actions that would distress you. Indeed, over a period of time we have occasionally taken action that has helped you out of a problem that may not have been part of your karma. Dear Ones, matters on Earth are beginning to take shape in such a way that before very long you will begin to see the direction that Humanity is going in. Out of confusion and uncertainty, will come positive signs that will confirm that the changes are taking shape for your betterment. You will realise that a “cleansing” is taking place and that much of what you can already see of the old regime, is being changed or removed. It is being helped by the many souls that have awakened to the truth and are demanding freedom from the shackles of the dark Ones. Your lives have been reduced to that of slaves as your birthright has been denied you. You were gifted freedom by God and it will be restored so that the New Age can deliver the promises that have been made to you. At the same time there are distinct signs that so many of you are grasping the truth of your existence and the glorious time that lies ahead. It will take time to fully manifest and we give you firm indications of the direction you are going in so that you have a positive goal in mind. Behind the scenes there will be many groups supporting your efforts, and helping you to achieve success. There is so much happening we can see how confusing it can be, but by focussing on the positive aspects of your future you should not be too distracted. The sheer scale of what needs to be done can be overwhelming, but we have been planning for this time for many years and matters will go speeding ahead once they can commence. Clearing the “rubbish” away means periods of discomfort for you, but we hope that by then you will have awakened to the necessity for such action. 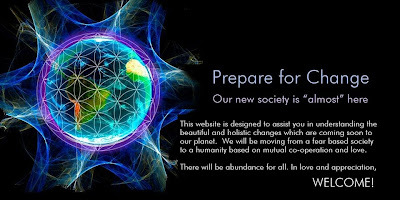 As matters stand at this time it is already apparent that the Human Race has to move on, and prepare for the upcoming changes that are for your eventual benefit. We view it as an exciting time because we can already see the outcome, and you too will do so once the situation becomes clear. We wish to keep you informed as to what is happening but we still have to be cautious until the dark Ones are truly where they can no longer interfere with your evolution. We oversee all that is happening on and off your Earth, and continue to ensure that your progress is not interfered with by monitoring all visitors that wish to either observe you or make contact. Exactly what that means is relative to the karma resulting from your previous actions, and “like attracts like” which have to allow. We cannot usurp the Universal Law or escape the consequences of doing so. Yes, we can give advice but the final decision is yours to take. Over long periods of time freewill has been given to you by The Creator, and it is this factor that has made your Race of particular interest to others. We have mentioned in the past that the experience you will all have gained will greatly benefit you in your future work, and where you can share it will save such souls from having to go through it themselves. You will find that “sharing” is a feature of all advanced Races and goes hand in hand with assistance given on your evolutionary path. At present much of what we have informed you of is way above most souls understanding, but you need to carry the seeds of knowledge ready for when you experience evolutionary expansion. Many of you are already beginning to grasp the truth and this has opened your eyes to your true potential. Hitherto, you have been deliberately kept back but now there is so much information being released, that it can no longer be kept back. You are far greater than you can imagine but that will change in the near future as your consciousness expands. The dark Ones had hoped to hold you back until they could completely enslave you, but it is now too late and there is no chance of their recovery. They may remain as a thorn in your sides but their influence is in decline and destined to disappear. False flag attacks are still taking place on Earth but they will not be allowed to interfere with your progress and are more karmic in nature. Your greatest threat at present is the pressure being applied to your currencies and turmoil is always near to taking place. We can try to help in the decision making but ultimately it is yours that count. Certainly changes are inevitable as it is apparent that your old monetary system is lopsided and only really benefits those at the top in the banking world. A fair system of distribution will be introduced and banks will be re-organised to a more manageable size that will be accountable to the people. Many needed changes are so to say “in the pipeline” as we have long identified the cause of your problems. Be assured that in the final reckoning no one will be missed out when it comes to the re-distribution of your monies. However, all this is to gradually move you towards a new way of life where money systems are no longer required, but do not worry about it as it is somewhat in your future. We know that many of you understand that in reality everything is in the Now and that when you reach a certain level by the power of thought, you will be able to move either backwards or forwards in time. The dark Ones have individuals that can operate at such a level and given some thought it is not too difficult to imagine why that would be of interest to them. Even so, they are not allowed to travel wherever they wish and their activities are continually monitored, and they do not have the freedom they imagine to do as they like. As we have technologies that can see through solid matter you will understand why we are confident that there is no hiding place for them. You must be careful as to what you conclude after seeing craft in the skies, as the dark Ones now have many of their own that carry little in the way of identification. It means that incidents could be attributed to us and are in error. You will of course know that over the many years that we have been in your skies, noting had taken place that could be described as threatening or harmful to you. We have never given you cause to fear us and are careful to not take actions that would distress you. Indeed, over a period of time we have occasionally taken action that has helped you out of a problem that may not have been part of your karma. One day not too far into the future you shall see us and meet us as the friends we are, and we shall go together into a beckoning future that promises so much. I am SaLuSa from Sirius, and always pleased to be in contact and I look forward to revealing the exciting times that lay ahead, and help in the preparations regarding your future that shall arrive in most of your lives. One day not too far away we shall meet openly and then we can directly work together, when you shall return to your previous level of attainment. For so long you have toiled and worked hard to find your way back to the Light. Now you are on that path and nothing can prevent your fulfilment and we of the Galactic Federation shall be with you.